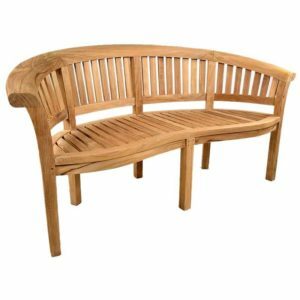 At the Outdoor Scene you’ll find a variety of the highest quality outdoor benches and garden furniture. Find the garden bench to suit your needs. Create the ideal space to relax and enjoy your outdoor garden area. Browse now and order online. A classic garden bench with a unique styling. 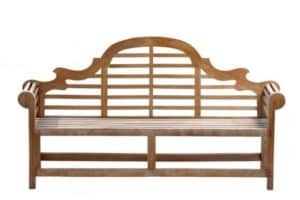 This bench mixes a classical styling with contemporary design. 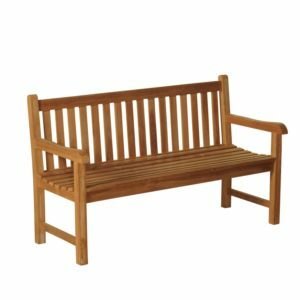 Windsor (Peanut) Teak Garden bench 150cm This stylish solid Windsor teak bench is sometimes known as a 'banana bench' or "Peanut Bench". It seats three people in comfort with a rounded back providing excellent support. Exceptional craftsmanship means all the joints are mortise and tenon, ...... .